Every time I go to Amazon.com I see that the Kindle version of a book I want to buy is less expensive than the print edition. Coupled with it being more environmentally friendly (no shipping, no printing, no hassle with it taking up space on my shelf) I’d like to switch over. But I don’t want to buy an actual Kindle device. Is there a way to read Kindle ebooks on my Mac or PC system? You’re right that while the experience of reading an ebook on a Kindle — especially the new Kindle Fire — is nice, it does require you buying an expensive electronic device in addition to whatever gizmos you already have now. Over time, it can probably pay for itself, but Amazon’s very savvy and they’ve actually made the Kindle reading software available for a wide range of devices, ranging from Apple iPads and Android tablets to smartphones and, yes, Mac and PC systems. 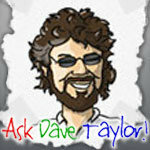 Ask Dave Taylor Amazon, ask dave taylor, ebooks, kindle. permalink.